Most of the times, moving from one area to another can be intimidating. And the intimidation is not just about the work involved, neither is it about the time it will take you to move to the new area, but rather, the amount of money required. You should not be surprised to get a quotation that is just as expensive as the items you want to move. 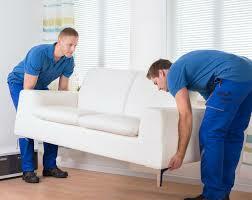 But for you to cut on the total costs, you need to get only the very best movers, which will charge you a low price. While you will be looking for a cheap moving companies, getting them again will be hard. With these tips, you can rest assured of getting cheap but quality home movers to help you relocate to the new place. The moment an idea of moving comes up, you should also start thinking of who among your relatives and friends has moved in the recent times. They should be your first point of contact, given that they might have entered a great deal when they were moving. You will realize that you are being referred to cheap moving companies that they might have used before. And even if they didn’t move, there are chances that they have friends who moved in their neighborhoods. This means that they might ask their friends for recommendations on cheap moving companies that you can use. Online reviews can be a goldmine for information just about anything. When looking for cheap moving companies, you need to go through their online reviews and see what previous users of those companies are saying. Visit the customer review section of The Unbeatable removals for example, and see what I mean by customer reviews. In the case of The Unbeatable Removals, you will realize that most of the clients loved their experiences when they hired the company for their moving needs. You can as well choose the company, purely based on what other clients have said about it. This can also help you minimize on the costs of moving. Remember that each company has its own quotation, and thus the cost of moving varies from firm to firm. By moving around, you will be able to compare the prices of each company, and thus be able to find cheap moving companies for hire. Most moving services are towards the end of the year, end moths or over the weekends. To find cheap moving companies, you need to avoid moving in such times. Only plan to move during off-peak seasons, when most companies do not have a lot of work. By moving in between the year, and during weekdays, you can be able to find cheap moving companies to help you with your work. You will realize that getting lots of discounts during off-peak seasons is so easy, as compared to moving during peak seasons. And these discounts can help you get cheap moving companies.